Before the Japanese Gardens, this area was part of the zoo from 1905 to 1932. This area was home to ostrich and emu. The Japanese Garden was designed by Nagao Sakurai. He designed 166 gardens all over the world. The idea for a Japanese Garden was proposed in 1965 and it opened in May 1974 in time for Expo '74. Sakurai was struck by a stroke in the early days of park construction which paralyzed the left side of his body. When it was announced he was sick, school children in Spokane sent him letters and pictures to help him feel less homesick. He continued to come and oversee the site and his son came to help him finish the park. The waterfall was dedicated in 1970. Before the pond was filled two girl scouts from Japan blended water from Spokane and Nishinomiya and added that to the pond. Over time, different features have been added to and taken away from the park and Spokane businessmen and women have donated plants, money, and time to the upkeep of the park. 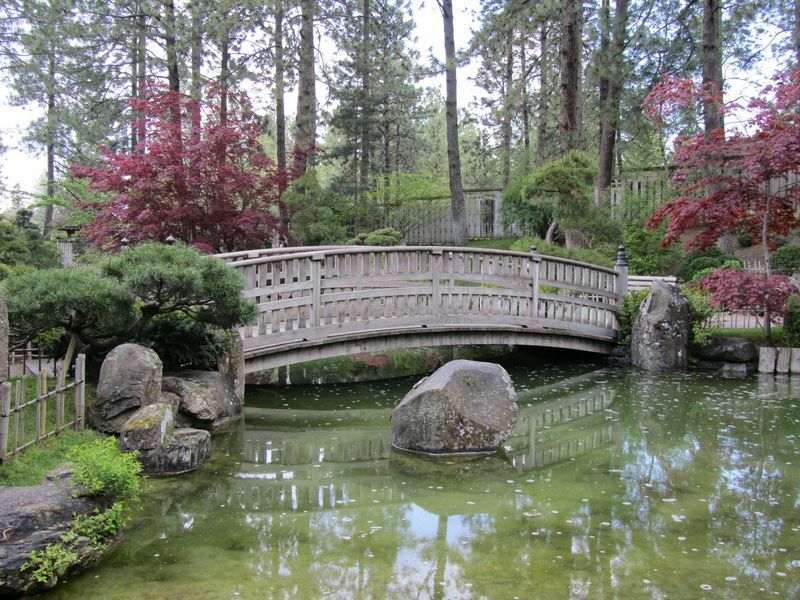 Due to the harsh Spokane winters, the Japanese Gardens are closed from November 1 to April 1. 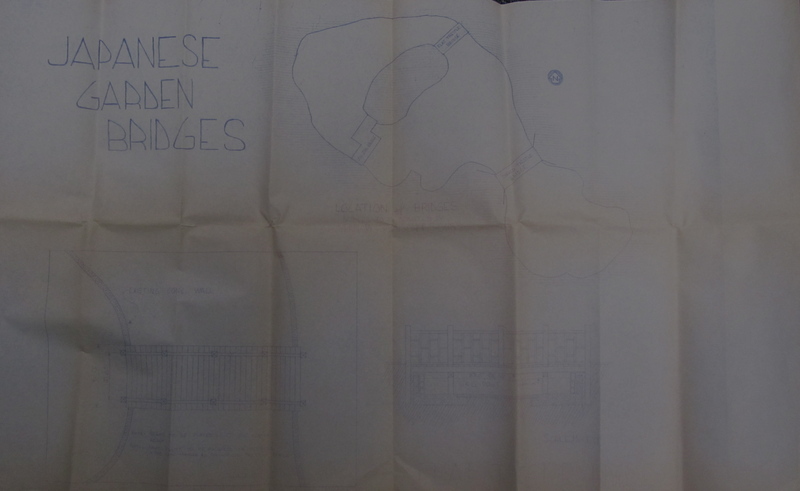 Plans for the bridges in the Japanese Garden: Image from the Spokane Parks and Recreation Department, Spokane City Hall, Spokane, WA. Lantern: Image from the Tony and Suzanne Bamonte Collection, Spokane, WA. Walking in the Garden: Image from the Spokane Parks and Recreation Department, Spokane City Hall, Spokane, WA. 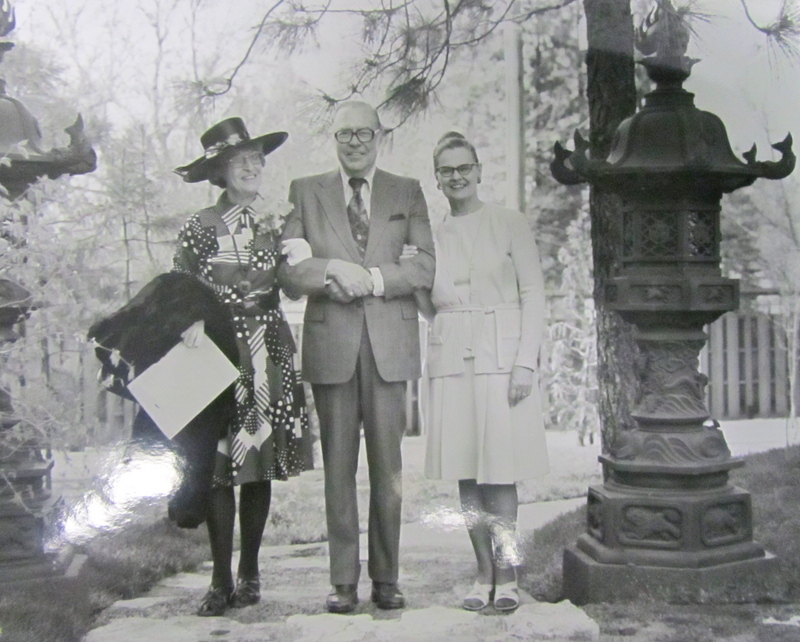 Tracy L. Rebstock, “Nishinomiya Tsutakawa Japanese Garden,” Spokane Historical, accessed April 21, 2019, https://spokanehistorical.org/items/show/113.